Whether a company is successful in the long term, significantly depends on the employees and potential of a future-oriented and strategic human resource management. A company is ultimately more than the sum of its assets. In particular, in times of demographic change, companies are increasingly faced with the challenge to find and keep suitable staff. Therefore, for a successful company the potential of its employees is absolutely vital. A skilled and motivated workforce is a key competitive advantage and an often neglected value-forming factor for the company's value. Each company is based on a business model that aims to generate its own income with the produced or resold products or services offered for a specific customer target group. The strategy based thereon describes the way how to set itself apart from the competition and how to expand its own competitive advantages. This includes continuously adjustments and changes. Essential to the success remains an open corporate culture that places the employee at the center and creates trust. Ultimately, the workforce is the only sustainable competitive advantage that a company has; fixed and current assets can be copied quickly and easily it is possible to produce identical products. It must therefore be ensured that knowledge is also passed on and used in the company's best interest. In order to recognize and to make the company to adapt the changes, a company needs employees who understand the need for change and who bring about this process with their skill and experience. Reliability and enthusiasm need to be encouraged by a confidence-inspiring handling of employees. This often requires a shift in values, strategic human resource management, confidence-building and transparent HR processes and clear communication. Besides qualification and motivation of the employees the "hard factors" are an equally essential lever in the personnel area. It is important to analyze in the personnel area and to evaluate the overall administrative and operational processes, lead times, spent resources (time, personnel, finance) as well as the remuneration components in detail, if necessary, in accordance with an existing collective agreement and existing labour agreements in the form of a HR audit. In addition to the classic HR audit support is provided by expert advice and customized coaching measures. In that regard, we consider discreetly and sensitively the specific entrepreneurial personality. We consider the current personal and family circumstances as well as the company and its current challenges. We analyze during the HR audit your administrative and operational HR processes and resulting therefrom give you specific recommendations for action. We help and accompany you in the operational implementation of the necessary measures. We support you so to reduce costs, to make HR processes more efficient, to identify employee potential and to develop it strategically - and to develop a confidence-building and effective human resource management. We analyze all payroll-relevant components and processes. Along with your existing personnel policies and measures for employee retention, employee development and employee recruitment and other personnel-related HR processes. Are our compensation models function- and potential-oriented? Is our company protected by existing employment contracts? Do we have our personnel costs in relation to our overall costs under control? Are our HR processes efficient and cost-conscious? Does our system of values lead to a long term and trusting relationship of our employees to the company? Are we attractive as an employer for candidates? Do we have a corporate culture that enables growth and development in relation to the potential of its employees? Are our compensation systems homogeneous? Is there expert knowledge only in individuals and is there the necessary transfer? Are our key figures in human resources correct? Which obligatory and financial consequences do have existing employment contracts, collective agreements, company agreements or internal rules of the company on the sale or purchase of the company? Which obstacles and potentials lie in the person of the entrepreneur? 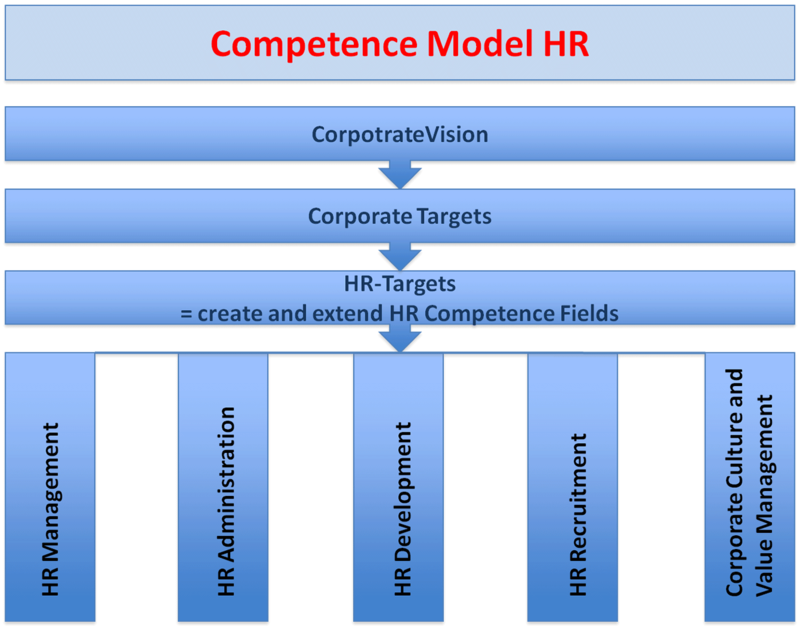 Before or possibly after company sale: development of a forward-looking HR corporate strategy - to be able to decide and implement thereof all other HR measures effectively.